What is your favorite Superbowl memory? Is there any one that stands out? There were a decent number of years of my youth during which I struggled. My mother suffered through cancer and I was a first hand witness to the worst word in the English language take Mom away forever. Eight months before Mom took her last breath in my arms, my Dad took me over to my Uncle Teddy’s to enjoy a much needed escape to what I embraced the most, NFL football. Still reeling from the Eagles’ loss in Superbowl XV, it was a bit difficult to watch the big game without the Birds. 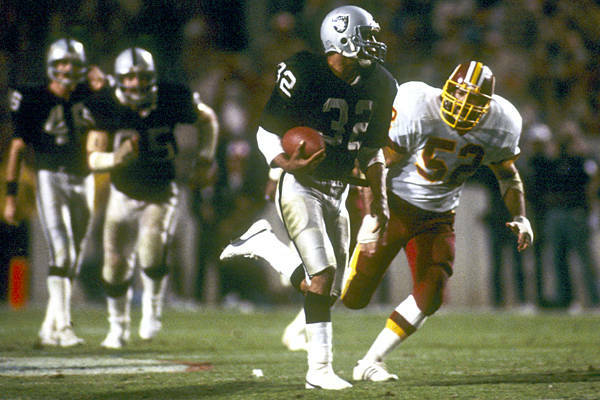 But Marcus Allen changed all that for me when he reversed field and scampered 74 yards for a touchdown. I was floored. I was thrilled. Best of all, life was fun for a few hours for my Dad and I. To me, Allen’s scamper remains the greatest run in Superbowl history. I cheered and hugged and the game, to me, was no longer just about the Eagles. Don’t get me wrong, I’m still a maniac Birds fan but it was that day I realized just how much I loved the entire league and sport. I’m 9 years old at this point but I remember it like it was yesterday. The thrill of when you fall in love with something like I did with the game that day is something no one can forget. 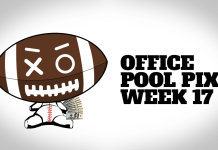 It’s what led me to a career in sports production, ultimately with the mecca, NFL Films. Some things have changed but my love of the game has never wavered. I can thank Marcus Allen and the L.A. Raiders for that. The memory, for obvious reasons, is far more than just a Superbowl memory. As for this Sunday, I picked Seattle to win the Superbowl a long time ago so I can’t waver now but, honestly, as the week as gone on, my confidence in the Seahawks beating New England has decreased. Give me Seattle in a real tight one, 26 – 24. 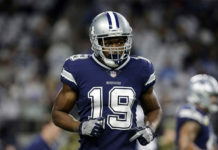 Enjoy the game and check back here on Voodoobrown.com when free agency begins and as the draft approaches for some insight on who your team might be tracking. I’ll be in studio with Big Daddy Graham on Sportsradio 94WIP Sunday night after the Superbowl for the post-game discussion from 2am to 5:30am. Next articleIn Chip You Trust?